Whether fantasy assassin or modern survivalist, surviving could depend on your weapon of choice. 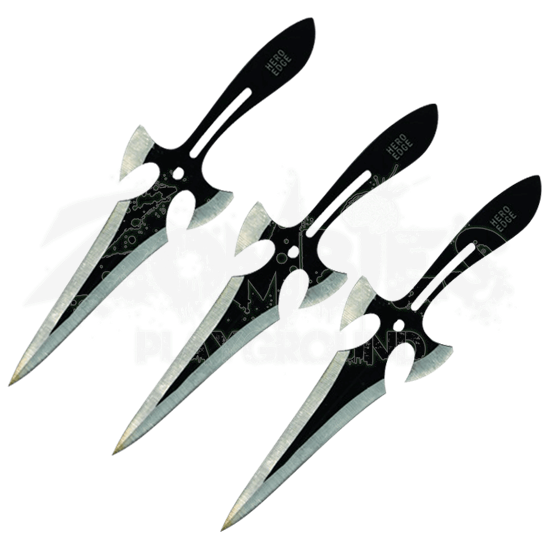 By arming yourself with the 3 Piece Black Triple Strike Throwing Daggers, you can be ready for every predicament that you may encounter! By adjoining the construction methods of modern technology with the refined silhouette of fictional worlds, these functional throwers bring a whole new meaning to modern fantasy! Crafted entirely from 440 stainless steel, this trio of throwing daggers host a sleek dual-toned finish, the silver-finished edges contrasting elegantly against the black color of the handle. The cutouts on the handle paired with the winged build of the knives offer an unconventional, blade-heavy design that enhances precision by thrusting the weight toward the tip of the blade. 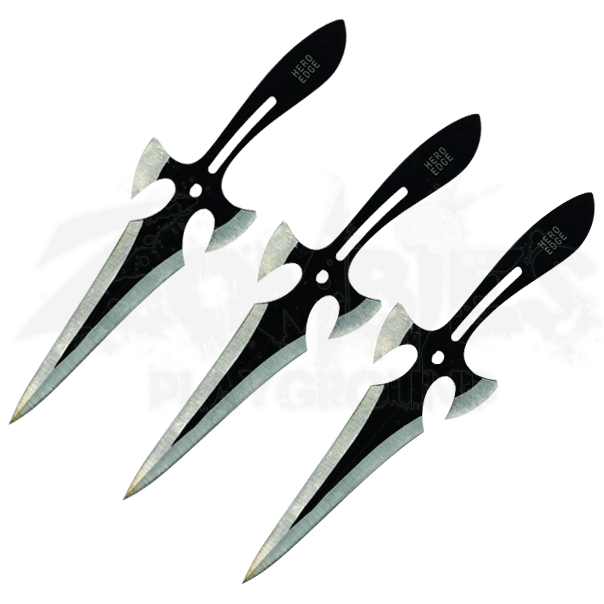 Whether for personal training or showing off your skill before judges, the 3 Piece Black Triple Strike Throwing Daggers is sure to set you above the rest!